Defence Minister Harjit Sajjan discusses the future of Canada's peacekeeping mission in Mali, and what he's realized Canada must do in the Arctic to maintain sovereignty in the region. Canada's peacekeeping mission in Mali will end in July as planned, Defence Minister Harjit Sajjan has confirmed. "The United Nations is working with other nations to look at replacing us," Sajjan told Chris Hall in an interview airing today on CBC Radio's The House. Sajjan spoke to Hall before his speech Friday to the tenth annual Halifax International Security Forum, a gathering of global leaders discussing major security and defence issues. Sajjan said Canada will have fulfilled its year-long promise to head the Mali mission by July. The Canadian Press reported this week that the UN has quietly asked Canada about extending its role. "The discussions I've had with other UN security generals has not led to that," Sajjan said. "We've said this for a year. We wanted to offer up support for what the UN wanted to do. One big ask they had was the concept of smart pledges. Nations come, take a yearly responsibility. We have done that." 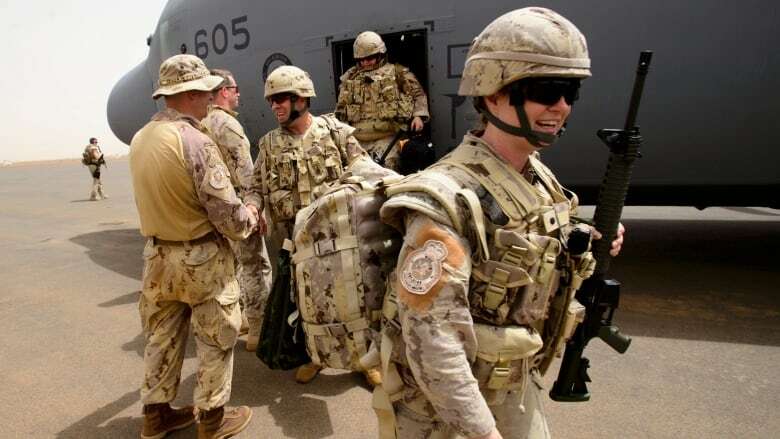 The minister added that there will be a transition period before Canada leaves Mali, much like the one that occurred when the German-Belgian helicopter mission in Mali was winding down and Canadian personnel were arriving last year. Although an official announcement has not been made, the Canadian Press is reporting that Romania is expected to take over from Canada, but not until October or November — months after the Canadians have left. "The UN is on track to be able to find a replacement," Sajjan said. "We will work with whoever steps up."